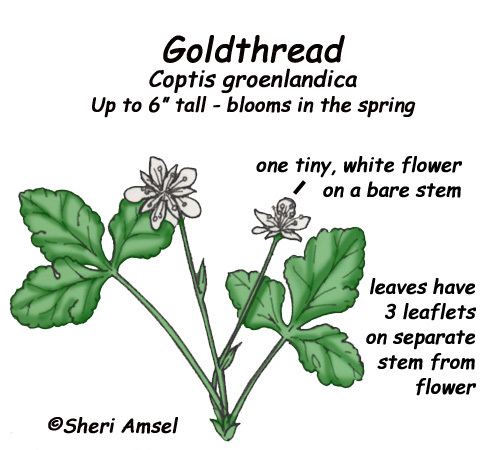 They are found in cool, wet woods and bogs. There is one tiny, white flower on a bare stem. 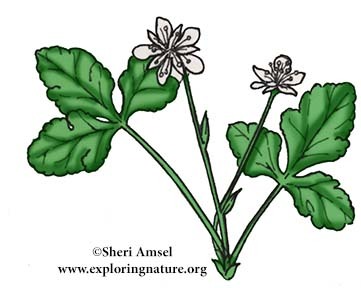 The leaves have three leaflets and are on a separate stem from the flower. They bloom May through July.